Splatoon was one of the most popular games one the Wii U, so it was obvious that it would get a sequel once the Nintendo Switch was announced. Splatoon 2 released to immense praise, and even had a single player campaign which picked up plot points from the original game. However, the single player managed to carry over some of the same flaws from the original Splatoon. But recently, the Splatoon 2 DLC, Octo Expansion, was released, and it added tons of new single player stages. But that raises the question, is the main campaign better, or is the new DLC superior to the original? And be forewarned, this article will cover spoilers from both games. Before we can start with the story of Splatoon 2, we have to take a look back to the final Splatoon splatfest, that being Callie vs Marie. The winner of that splatfest was Marie, and when you start Splatoon 2, you find out that Callie is missing. You go to explore Octo Canyon and find out that both the Great Zapfish and Callie are missing, with Marie helping you along the way. You later find out that DJ Octavio is back from the first game, and that he is controlling Callie through mind control sunglasses. After defeating both of them, Callie is back to hanging out with Marie, and DJ Octavio is trapped yet again. 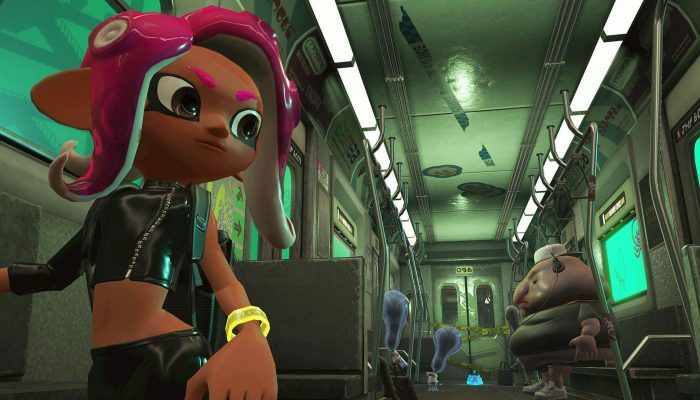 The story for the Octo Expansion has you wake up as an Octoling deep underground in a subway station. After seeing the final boss fight from the original Splatoon, you’ve had a change of heart, and want to go live in Inkopolis. Also trapped down with you is Capp’n Cuttlefish, the mentor from the first game. But he’s not the only one giving you advice, as both Pearl and Marina are helping you over a walkie-talkie. You have to gather four “thangs” to make your way to the promised world. Once you assemble them and step inside, it turns out it was actually a blender. But just before you turn into an Octoling smoothie, Agent 3, the hero of the original Splatoon saves you. Pearl and Marina help you navigate up to the surface, but on the way you have to fight an infected Agent 3. Once you get to the surface, a giant statue of a human comes out, and is piloted by an AI called Commander Tartar. Tartar is an AI which was created 12,000 years ago to pass on human knowledge to the next worthy species. However, Tartar has decided that both Inklings and Octolings are unworthy, and will destroy the world to create new, worthy life. Obviously, that can’t happen, so Marina puts hyper bombs on the statue, which you have to blow up. And once that’s done, Pearl destroys the statue with a Killer Wail and her loud voice. Once that’s done, you can use your Octoling during regular online gameplay. Speaking of gameplay, this is what really sets Octo Expansion apart from Splatoon 2’s campaign. Splatoon 2’s levels all boil down to either reaching the end of the stage, or beating a boss. While the stages do have some variety on how to get to the end, whether it’s travelling along inkable sponges, fighting Octolings, or bouncy airbags. These stages are also different because of the weapons you use. Sometimes you choose the weapons, but most times the choices are made for you. The weapon types you can use are the Hero Shot, Hero Roller, Hero Charger, Hero Dualies, Hero Slosher, Hero Splatling, Hero Blaster, Hero Brella, and the Herobrush. This covers all the main weapon types featured in the game, allowing you to practice before going online with these weapons. You can also use three different sub weapons, those being the Splat Bomb, Curling Bomb, and Auto Bomb. Each weapon and sub weapon can be upgraded to use less ink and be stronger. While the Splatoon 2 campaign has more variety than the original, it has nothing on Octo Expansion. First of all, not every mission has you just reaching the end. Some still have you reach the end, but others have you defeating all the enemies, getting an 8-Ball into a hole, defeating a boss, or defending an orb. But past that, some levels even have you doing multiple of these tasks during the same stage. And when it comes to the weapons, sometimes there’s only one choice, but more often than not, you have a choice of a few weapons. These are either different weapons of the same type, the same weapons with different sub weapons, or completely different weapon types that make the stage harder. However, this is because stages cost points to either get into, or retry a stage. The harder challenges yield more points, but you shouldn’t ever get too low on points. But the best challenges are when weapons are taken away entirely. Whether it’s having to use specials to platform, or sneak around Metal Gear Solid style, these stages are where you get the most creative. But these games do have one very similar thing, the graphics. Obviously it’s the same engine, but past that, all these stages have similar aesthetics depending on what world you’re in. 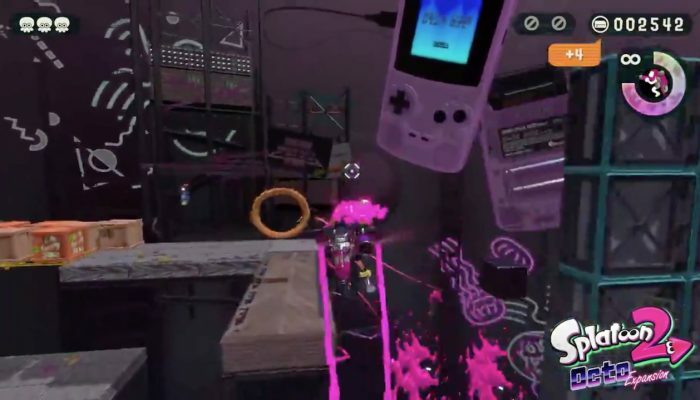 There are also many Easter eggs in the background, such as seeing older Nintendo consoles floating around in Octo Expansion. Either way, they both look great, and each world has a fun new theme. So, which is better, Splatoon 2 or Octo Expansion? Unsurprisingly, Octo Expansion takes the cake. While the Splatoon 2 campaign was a step up from the original, it still ends up being very monotonous with the same level structure every time. However, Octo Expansion manages to up the ante by having multiple different level types, and making these levels actually challenging. And while Octo Expansion may be $20, it’s completely worth the price tag. Previous post: You Love Psychopaths, But hey it’s OK!